In an end-to-end encounter, a second-half brace from substitute Alasio Naduva was enough to see the Fijians past their title rivals. 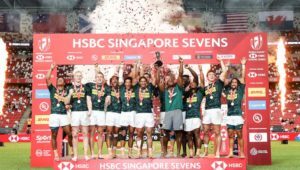 The sides exchanged early blows as Sevuloni Mocenacagi scored in the third minute before the USA hit back when Carlin Isles went over for the first of his two tries to level the scores. Vilimoni Botitu then scored on half-time to give Fiji a 14-7 lead. 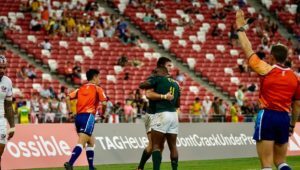 Fiji carried their momentum into the second half as Naduva took just two minutes to score his first try. 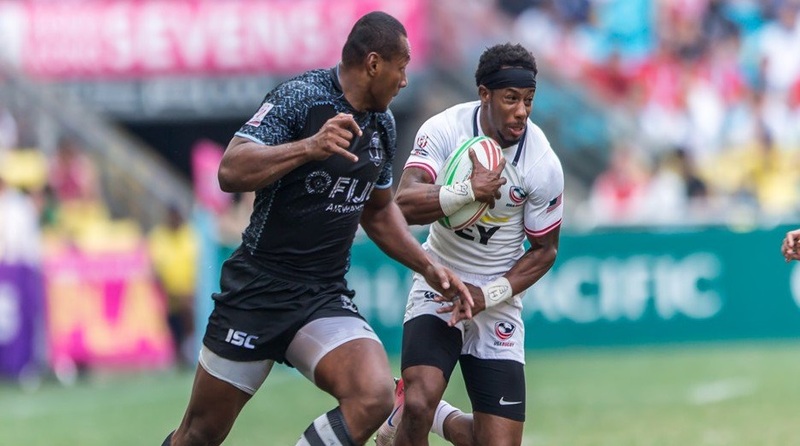 Kevin Williams then showed his pace to give the USA hope of a potential comeback with a fine solo try, but that was dashed when Naduva scored his second try. 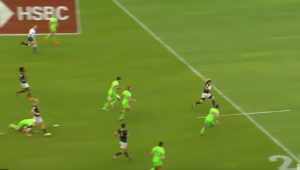 It left the USA needing two converted tries in the last minute, which they could not manage despite Isles scoring his second try with seconds left on the clock. France will make their first appearance in the Hong Kong final after beating Samoa 19-12. Tries from Gabin Villiere and Paul Bonnefond gave the French a 14-7 lead at the break, with Samoa scoring through John Vaili. 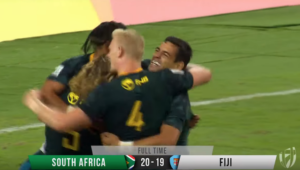 It looked like Samoa would take control of the match when Vaili completed his brace in the second half, but France extended their lead as Aurelien Callandret scored with two minutes to go.